Good morning, dear friends! As I was writing this post, the TV was on and I was hearing the news. What a bad idea! Murders, terrorist attacks, earthquakes, tornadoes, robberies, rapes, a mother abandoned her 4 kids, a father killed his babyboy while having a fight with his wife etc The list is endless…My heart was filled with grief and melancholy …Where is our world heading to? What kind of persons have we become? Let’s move on to the recipe now! After the bitter thoughts I have a sweet treat for you! 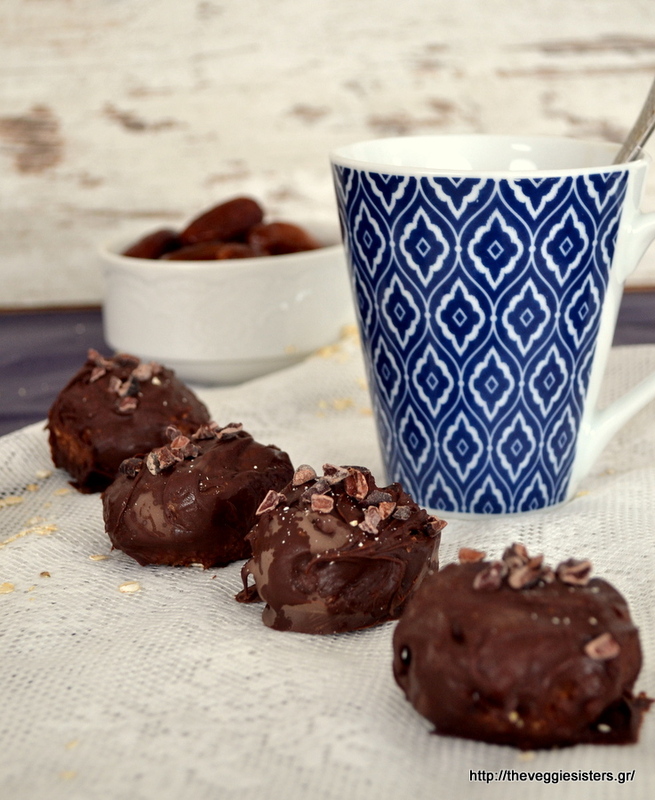 Today we are making delicious chocolate chestnut truffles! There are so many truffle recipes in this blog. The reason I love them is that they are so versatile and give you the chance to experiment with new combinations of ingredients!They are scented with rum (what a perfect match!) but if they are meant for kids, you’d better omit it! You should try these flavourful babies, I am sure you will love them! Kisses and hugs! Happy cooking! Soak dates in hot water for an hour. Drain and pulse them in a blender until creamy. Tehn pulse chestnuts with water until creamy. Add the date paste and the rest of the ingredients and pulse again until well combined. Put dough in the fridge for half an hour. Then shape into truffles. Dip each truffle in melted chocolate until well coated. Top with cacao nibs. Place on a tray lined with parchment paper and allow to cool so that the chocolate gets firm. Store in an airtight container in the fridge. Enjoy! 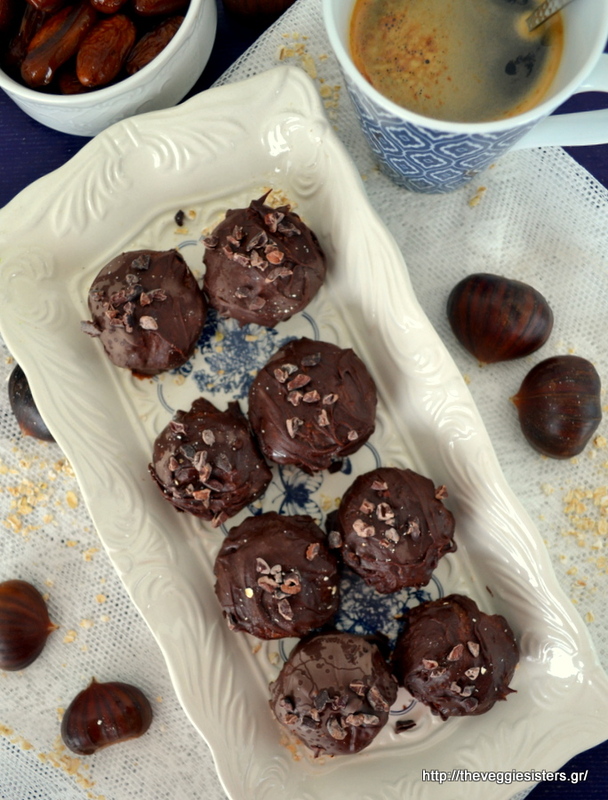 Share the post "Chestnut truffles"